Baking is in my genes. My dad is a ridiculous baker, and when my mom recently had to give up gluten, he became a ridiculously good gluten free baker. He is so good that he makes gluten free goodies that nobody can tell are gluten free. Unfortunately, living in Georgia, I rarely get to taste his new products – I get pictures instead. 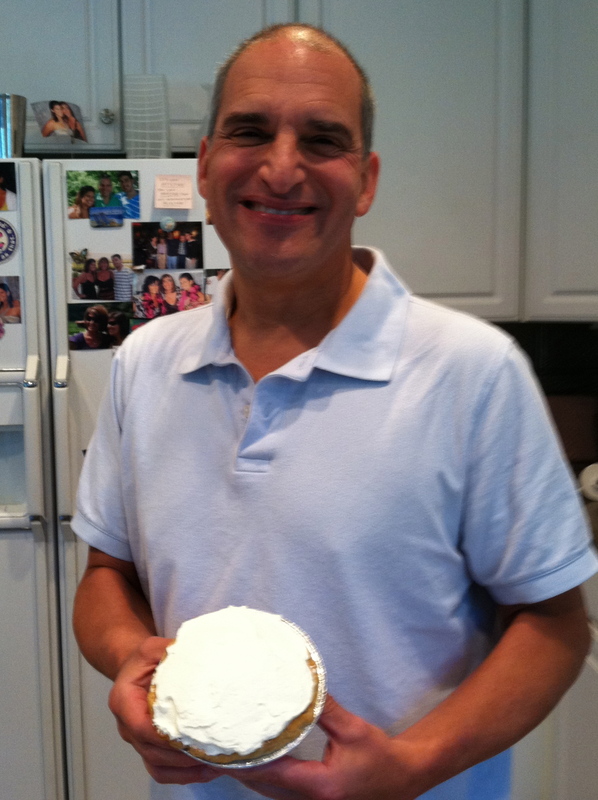 My dad and his amazing chocolate cream pie. 🙂 One day I hope to be that good! After receiving a barrage of picture messages over the last few weeks of gluten free red velvet cupcakes and salted caramel cupcakes and chocolate cream pies and blueberry muffins, I was craving some baked goods. Specifically, I wanted homemade cupcakes. 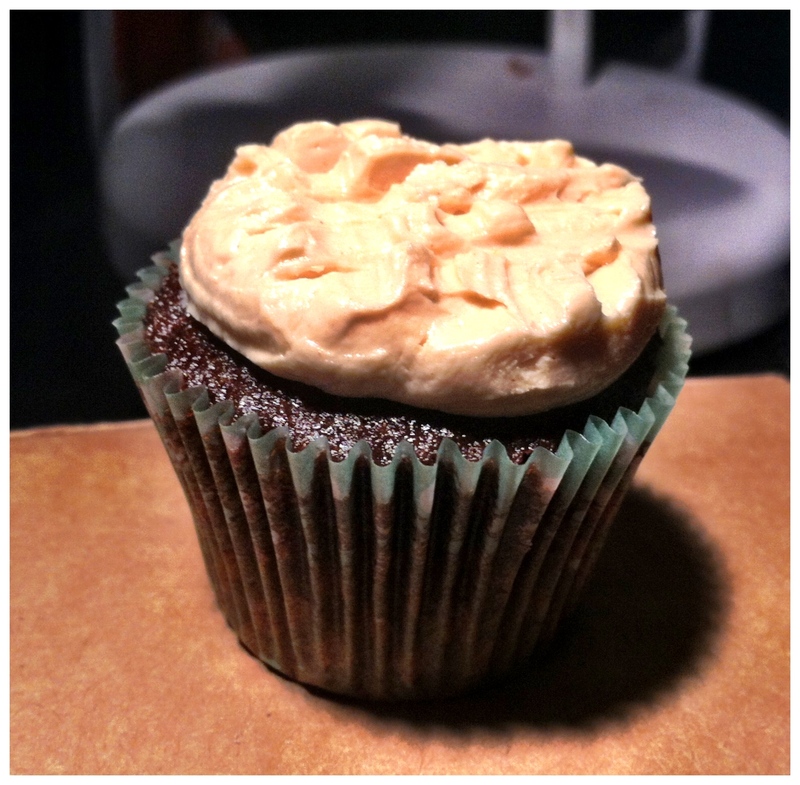 We have GiGi’s and another place called Silver Lining here in Athens, and no offense to those bakeries, but they have nothing on my dad’s cupcakes or the delicious cupcakes sold at Georgetown Cupcake in Maryland & DC. Realizing that a store bought cupcake just would not satisfy my craving, I did the next best thing – I made my own using the Georgetown Cupcake chocolate recipe (with some slight modifications), added some peanut butter buttercream, mini Reese’s, and the special finishing touch that really made me feel at home – Fisher’s popcorn flown in fresh from the great Ocean City, Maryland. WOW. 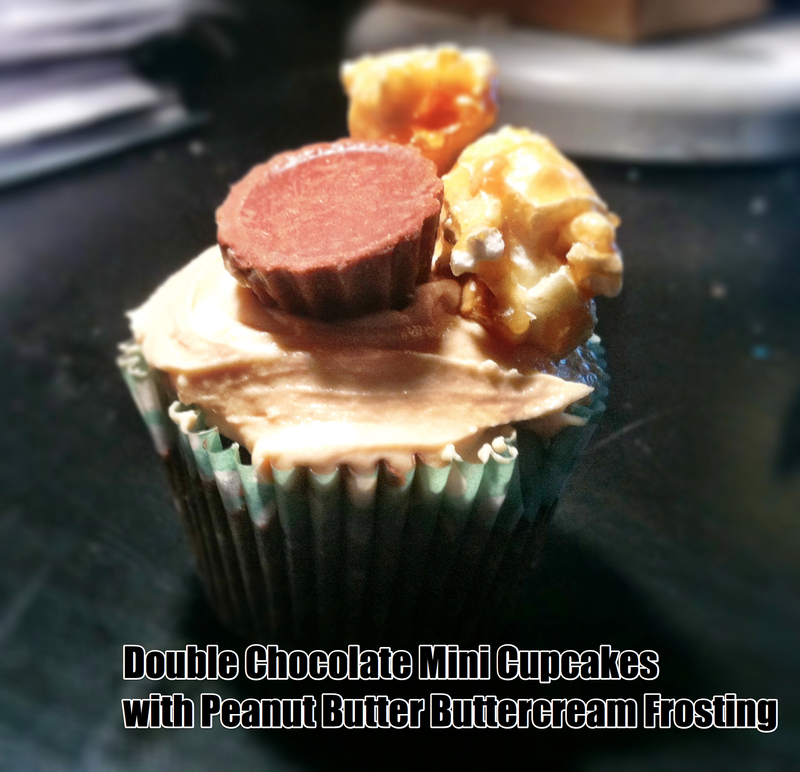 There are no words for this delicious combo of chocolate, peanut butter, and caramel. And even better, now I have my own yummy pictures to send up to Maryland to make my parents jealous. Hah! The cupcake itself is made from a recipe adapted from Georgetown Cupcake (the original recipe can be found here http://projects.washingtonpost.com/recipes/2008/11/05/chocolate-squared-cupcakes/), the frosting is a mix of many recipes I found online, and the frosting technique was a failed attempt to emulate Annie Eat’s interpretation of a recipe from the Savory Sweet Life cookbook (a much better version can be seen here, I blame the difference in frosting texture http://annies-eats.com/2012/06/22/chocolate-cupcakes-with-peanut-butter-cookie-frosting-sweet-savory-life-cookbook-giveaway/). 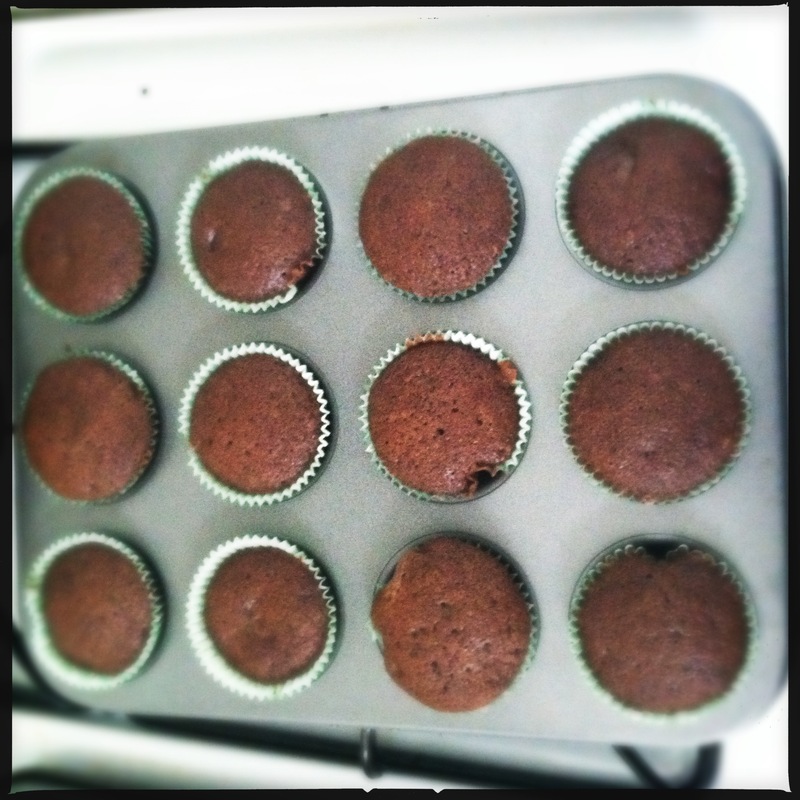 Preheat oven to 350 degrees and line mini cupcake pans with liners. Sift together flour, baking soda, and salt in one bowl. 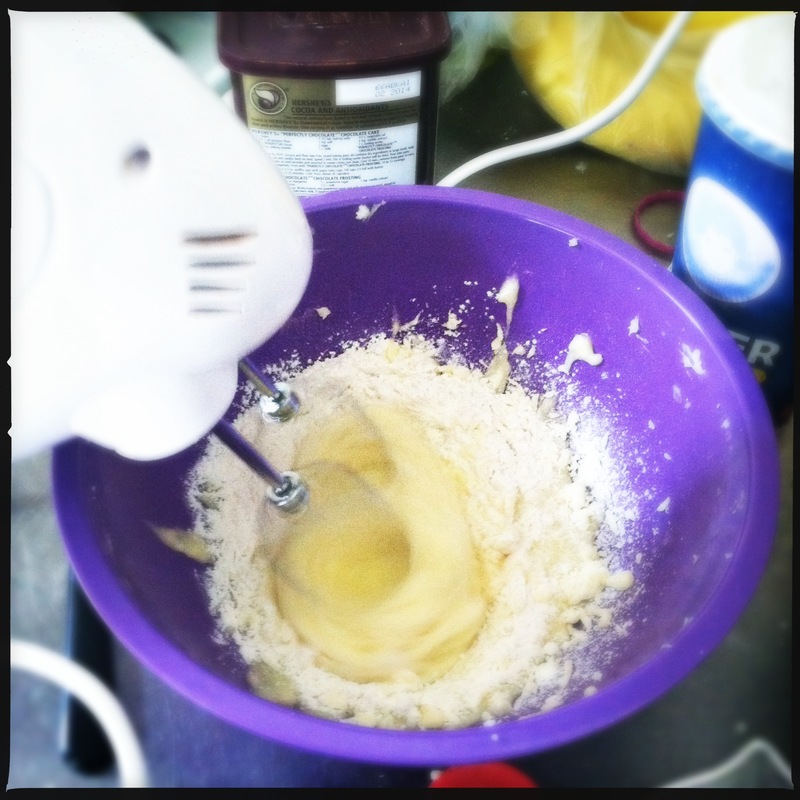 In a separate bowl, beat butter with a mixer on medium speed until fluffy. Add sugar; continue to beat on medium speed until incorporated. Add eggs – 1 at a time – mixing slowly after each addition. Combine milk with vanilla extract. 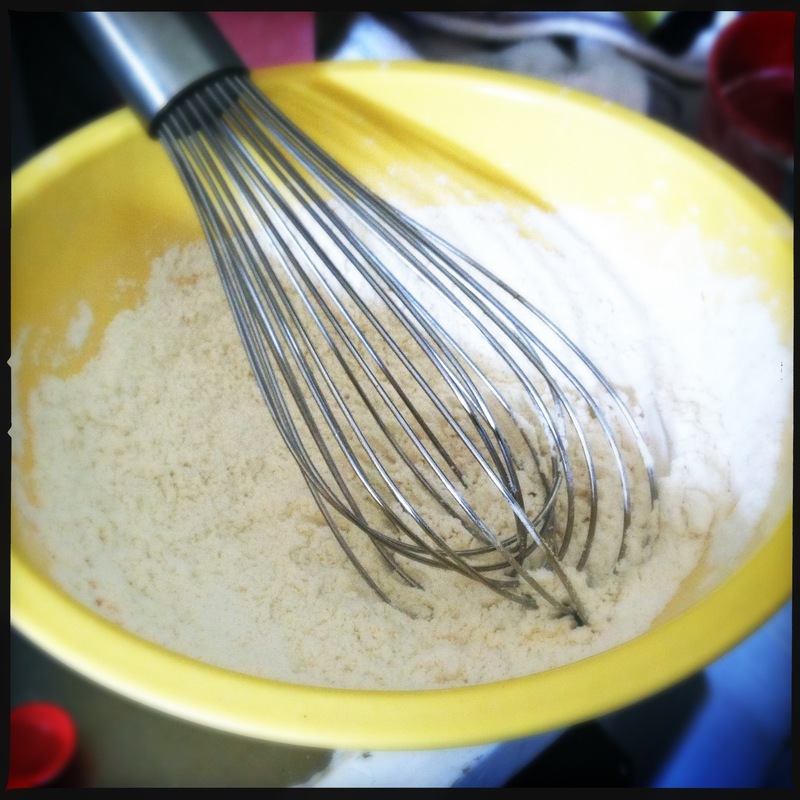 Add 1/3 of the flour mixture to the butter/sugar/egg mixture, mix until just incorporated, and then 1/3 of the milk mixture. Repeat until all of the flour and milk has been added. 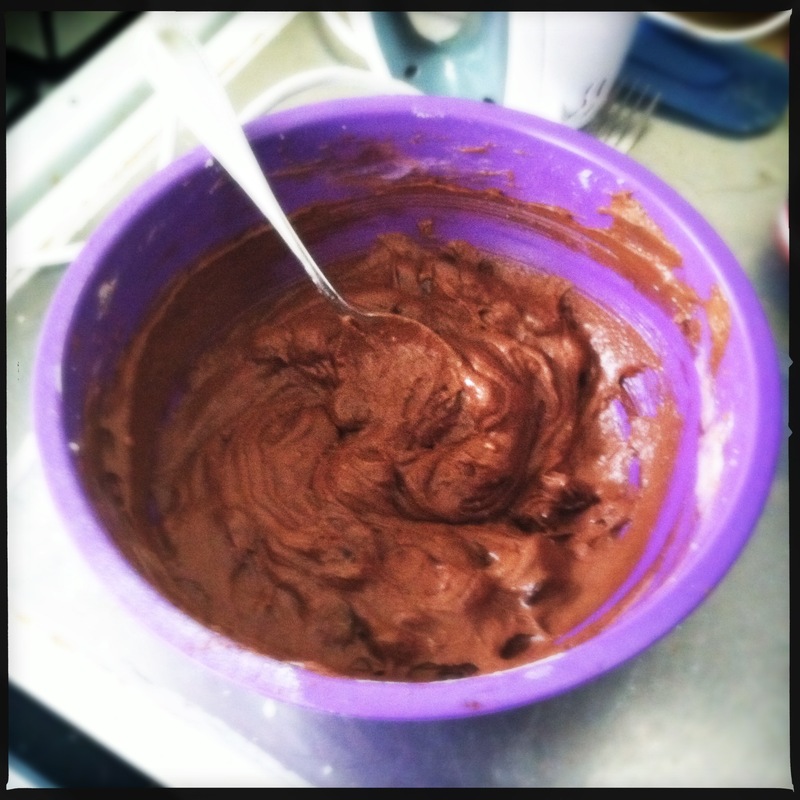 Add cocoa powder and chocolate chips; again, beat on low speed until just incorporated. Fill cupcake tins abut 1/2-2/3 of the way full (I used a heaping teaspoon of batter for each cupcake) and bake for about 11 minutes, or until a toothpick/fork inserted into the center of the cupcake comes out clean. 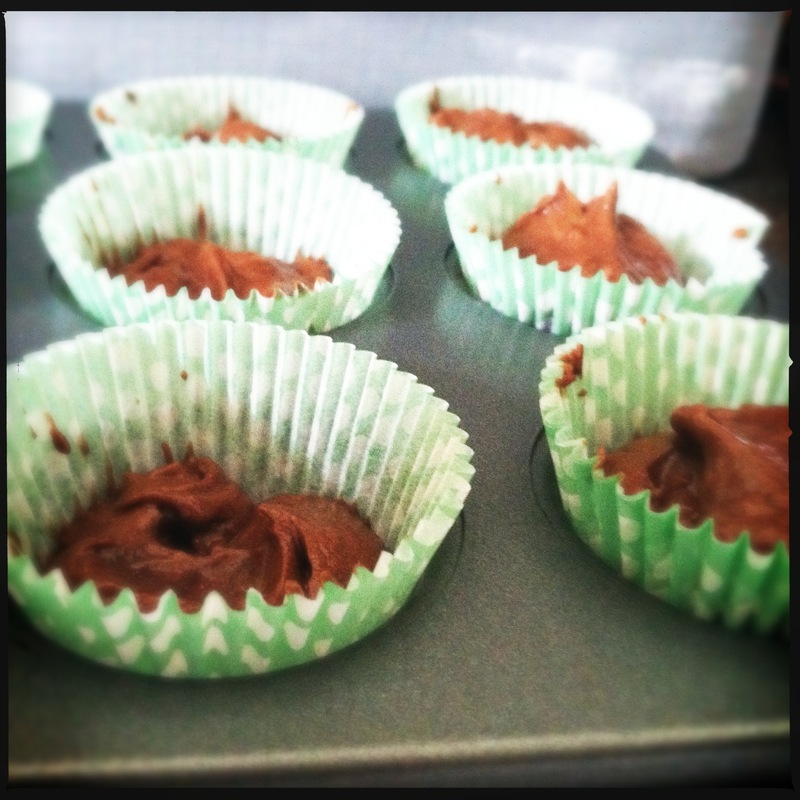 Makes approximately 18-20 mini cupcakes, depending on how much batter you eat (oops!). Mix butter and peanut butter together until fluffy. Add powdered sugar and salt and mix (lower speed) until incorporated, then add milk and vanilla. Mix until incorporated and add more milk/cream or powdered sugar if too thick or thin, until it reaches your desired consistency. I’m trying to be all about balance here. 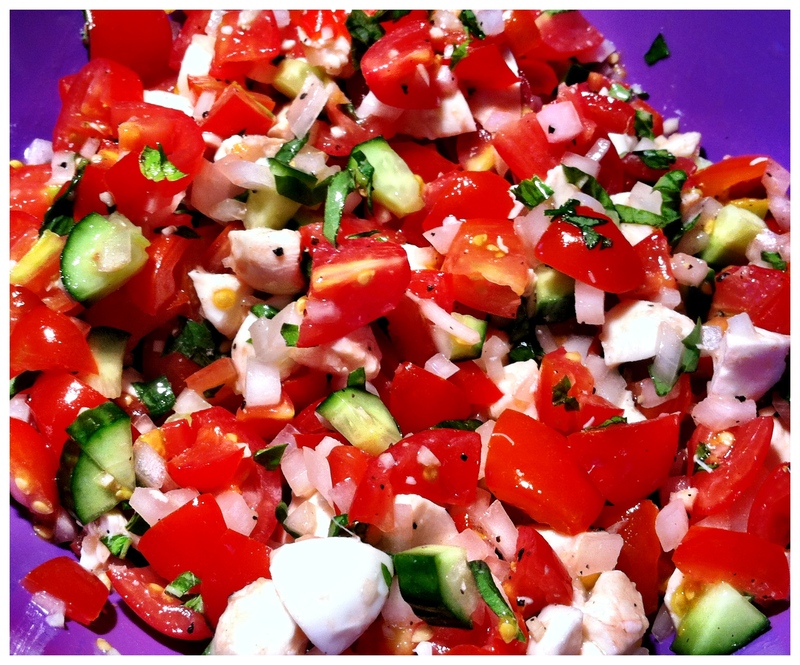 This is what I ate for dinner – I’m surprised I even had room for my tomato/cucumber/basil/mozzarella salad with all of the cupcakes/cupcake batter I ate. Oh well!